The Castle of Alarcon forms part of the fortifications built around the town of Alarcon in Cuenca. The fortress is composed of a walled enclosure, which houses the heart of the population and the castle, and of five exterior towers, separate and strategically placed. During its time under Muslim power, the castle served as a defensive stronghold in the midst of internal conflicts. In 1184, Fernan Martinez de Ceballos, military captain under Alfonso VIII of Castile, besieged the fortress for nine months before finally capturing it in the name of his king. 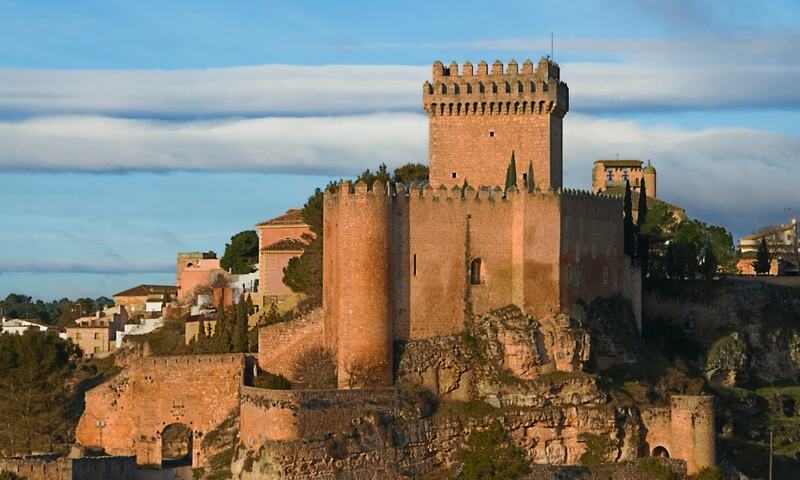 From then on, the Castle of Alarcon received much attention from the successive kings of Castile, who expanded and reinforced it while providing it with its own charter and granting it lordship over extensive neighboring territories. The castle was revitalized as a parador hotel and opened to the public on March 25, 1966.